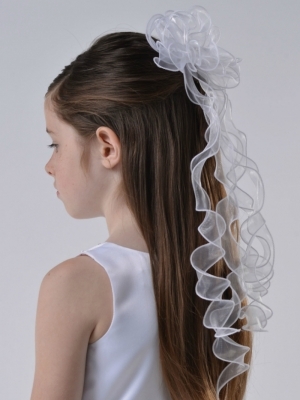 Gorgeous Us Angels designer/ couture hair bow/clip with attached veil that is perfect for your little ones First Holy Communion event. 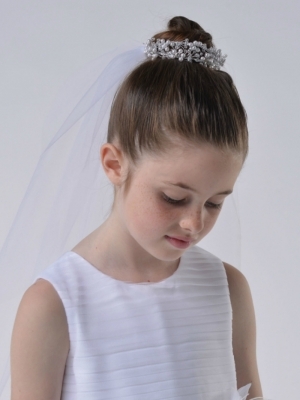 Simple, yet has just enough beadwork to give it a little sparkle that every girl loves. Offered in White only- as pictured.